Why have a planetarium in Mississauga? The Earthshine Astronomy and Space Science Organization is raising funds to bring a planetarium to Mississauga. This will be a place for families to explore the universe together. A planetarium is a theatre that recreates the night sky. In it, you can see the sky from any place on Earth, at any time—in the past and in the future—and accurately chart the positions of the stars, Sun, Moon, and planets. It is a powerful teaching tool and a place to celebrate our heritage. After all, every culture has a tradition of star stories! 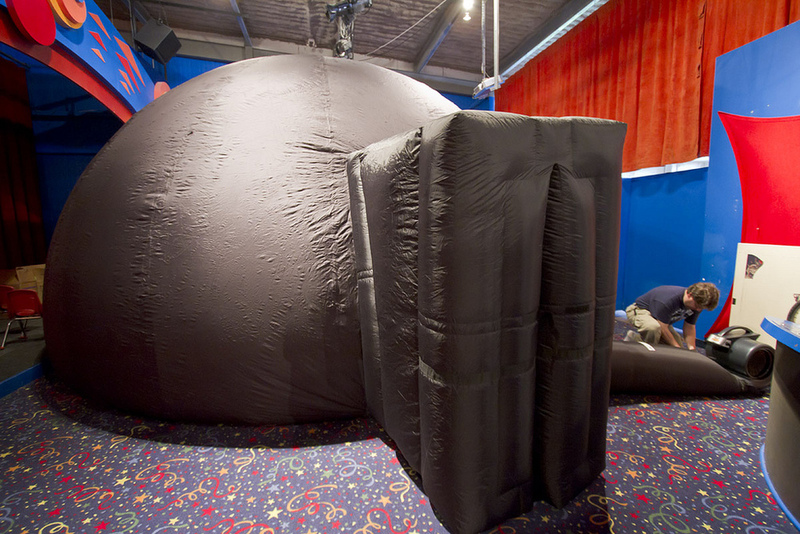 A planetarium is an indoor theatre, so it can be used day or night, no matter what the weather conditions. Earthshine’s immediate goal is to buy a portable planetarium but house it in a permanent location, a location that is easily accessible for school groups and families alike. Once we have demonstrated the need for such a facility, we will start plans to build a permanent facility with a larger dome, increased seating capacity, and generally more room. Planetarium technology has changed in the past 20 years. Planetariums used to be limited to showing just a representation of the night sky. Today, modern planetariums can take us on virtual trips to the different planets, out of the solar system to interstellar space, and even out of the Milky Way galaxy. Modern digital computer technology allows the planetarium operator to present live shows, customized shows, and shows created by production companies. 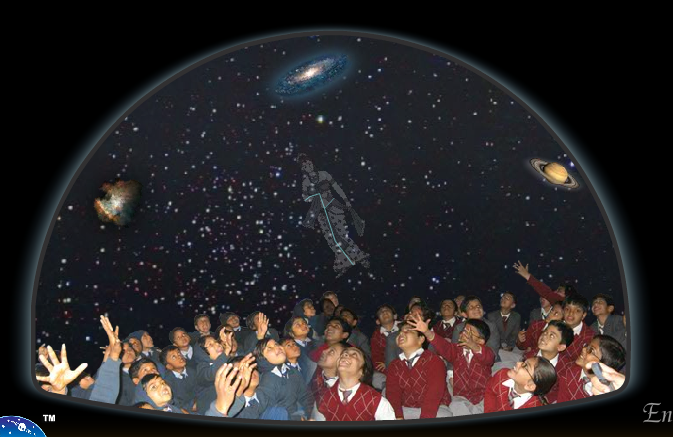 And the shows are not limited to astronomy; planetariums can present any kind of programming on various topics. Imagine exploring a DNA molecule or a human cell. is there Life on Mars or elsewhere in the solar system? when will the next big asteroid hit the Earth? There is another important role for a science education facility in Mississauga: inspiring young people to enter careers in science and technology. Fewer students are taking science courses in high school. The education organization Let’s Talk Science released a report on October 8 that stated that fewer students are leaving secondary schools with a balance of science, technology, engineering and mathematics courses. The result is that, once they enter the workforce, they are unable to follow their desired career path. Whatever the cause, there is a need to stimulate the interest in these subjects in young people. One way is providing a local science education and public outreach facility such as the one we propose. As the sixth largest city in Canada, Mississauga is part of an area of over 2 million people (Peel, Halton, western Toronto). Travel to Toronto science facilities (the Royal Ontario Museum and the new aquarium downtown, and the Science Centre in the east end) requires long drives in heavy traffic. We need a local public science facility here in Mississauga. Help bring a planetarium to Mississauga by donating to Earthshine! To donate go to this website.